Whoa, that's not the same cardigan? Honestly, I like the color on the Charlotte Russe better, so that deal is doubly sweet. Holy cow! I agree ~ I like the Charlotte Russe and the price too! Great fined! wow that *is* a dead ringer! 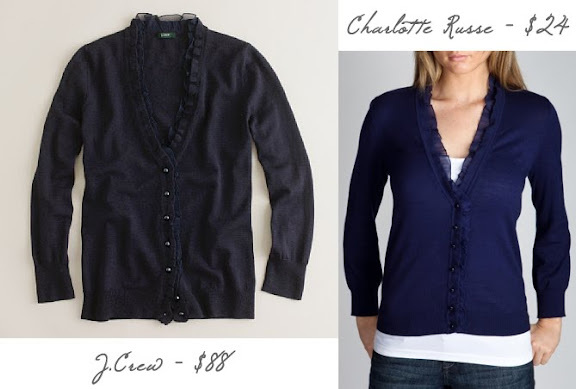 and the blue shade of the Charlotte Russe cardigan is way more flattering. love that charlotte russe one, looks so great! Wow! Perfect match - nice job!